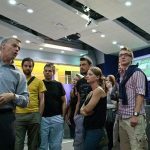 Planning to study in Austria? 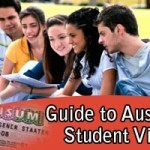 Want to know complete details about the Austria student visa? Well, this article is meant for you. Situated at the heart of Europe, Austria is a famous country that is offering lots of opportunities for students. Filled with beautiful places, impressive alps and many interesting places, studying in Austria is a wonderful experience that lets you to explore the great culture and traditions. Austria offers ample study options for potential students and encourages them to improve their skills and capabilities at all levels. Besides its historical and cultural appeal, the country has much to offer for international students who wish to study in Austria. Most students, especially Indians wish to study in Austria can take advantage of pool of educational opportunities, good teaching methodologies and plethora of study and course options. Also, its top universities and colleges are making Austria, the most favorite destination for international students. Austria’s low tuition fees also pay an important role in attracting foreign students to enter the country for the purpose of studies. All these factors made Austria the world’s leading destination for higher studies. More than 59000 international students choose to study in Austria in 2009. Indians who wish to study in Austria need to apply for Austria Student Visa to enter the country. 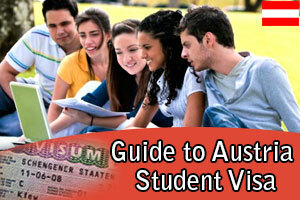 The Austria student visa is a document that allows you to legally study in Austria for the entire course duration. However, Austria student visa applicants are allowed to stay for a maximum period of six months. And, nationals of non-EU or EEA countries who wish to reside in Austria for more than six months should apply for a residence permit. Potential applicants must fill the Austria student visa application form very carefully before submitting. Upon successful submission of documents, Austrian student visa will be granted to prospective applicants. 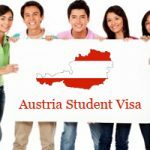 Austria Student Visa, Students in Austria, Study in Austria Austria Student Visa, Austria Student Visa requirements, study in Austria. permalink. All the qualified and well trained team of opulentus is doing an excellent job in proffering best in industry visa services. I found them as very supportive and helpful. If am below 18 years, Does any application required any specific application?